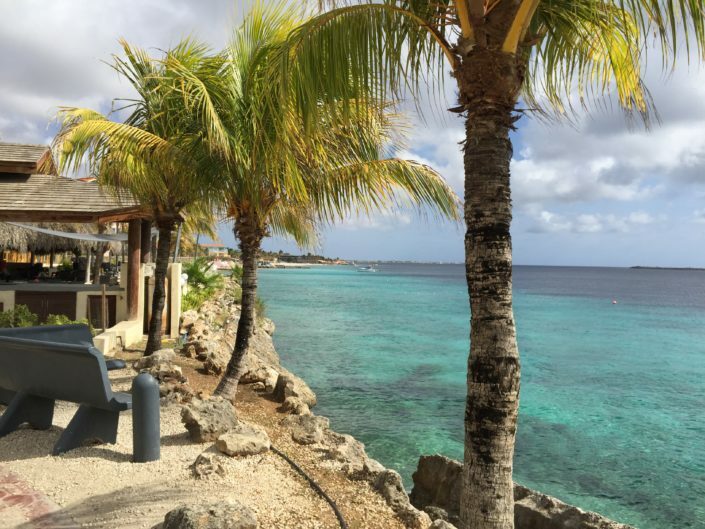 Bonaire is truly an undiscovered diamond in, well, a seascape of so many beautiful diamonds. However, Bonaire is unique in that it remains a sort of untouched paradise in an over-saturated world. The least traveled of the ABC islands, it lies just quietly north of Venezuela in the Caribbean. This small island oasis is a snorkeling and diving paradise, as well as one of the most genial and heartwarming places I’ve ever been. This particular part of the tropical world holds many wonders, a vast and impressive expanse of ocean that entices travelers from around the globe. 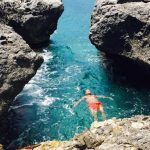 The secrets in it’s history are both ancient and new, so it’s no surprise that included among the crystal clear waters sits a snorkeling and diving paradise you might not have even heard about; an island so close to Aruba you could reach it by air in less than 30 minutes and Curacao in about 15! This land of white sand and orange-gold sunsets has a special place in my heart. As a child my grandparents were missionaries on Bonaire, volunteering at the still-operational Trans World Radio studios. I was blessed to spend a few holidays in Bonaire as well as experience my first solo international trip to visit them from my home in the Northeast US when I was thirteen years old. Since then, Bonaire has thankfully not changed too much. This island retains it’s peace, it’s familiarity, and it’s warmth. The years may pass, but the culture and the soul of the people never seem to be affected by the seemingly ongoing stress of the world at large. 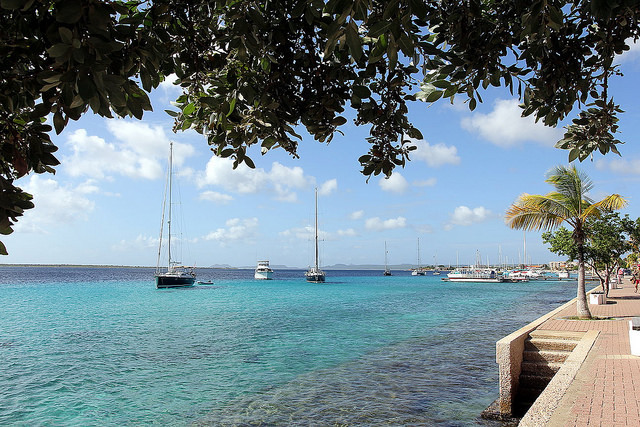 Bonaire has long been a hub for professional divers as well as Dutch vacationers, its clear waters and laid back attitude boast an appealing attraction for discerning adventurers from all over the globe, while still remaining a virtual secret to the majority of travelers. 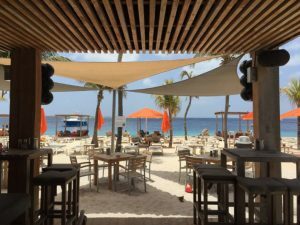 As part of the ABC Islands and the Leeward Antilles (formerly the Netherland Antilles), Bonaire has for decades had the luxury of sitting largely untouched by rampant tourism. Only 24 miles long, Bonaire sits as the top rated snorkeling and scuba diving in the Caribbean. This ongoing oceanic tranquility is carefully maintained by both private and governmental protection of the reefs, keeping Bonaire a paradise since 1979. 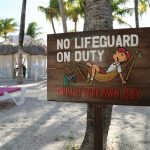 There are many beautiful stretches of white sandy beach to choose from, almost all ideal for snorkeling or diving, with the exception of the north side of the island where the waves and currents are enough to knock you off your feet in an instant! Located in the southeast of the island, Sorobon Beach is a beautiful location for snorkeling and swimming, as well as just relaxing in the sun. Here you can kick back with a tropical cocktail and watch the world-class windsurfers who often hit the waves at Sorobon. 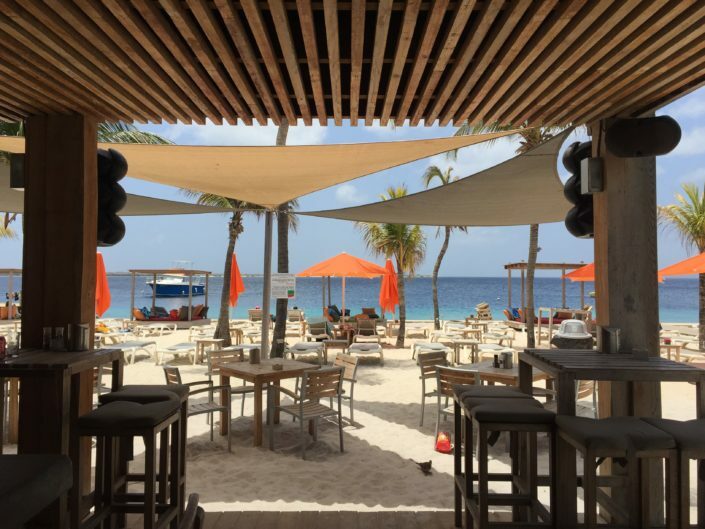 Also located here is the Sorobon Beach Resort and the famous and fun Hang Out Beach Bar, a much-loved Bonaire establishment for good times since 1988. This small stretch of white sandy beach is located in the Belnem district, conveniently located just south of the airport. Sitting at the bottom of a short 10 foot cliff, you can park just next to the top of the stairs and make your way down to this intimate and charming spot. This stretch is, like so many Bonaire beaches, perfect for snorkeling and diving. The steps are just off the road and simple, and a quick descent to the water. The locals advise you just to watch your footing on the last of the steps where the ocean spray may have made it’s mark! This is one of the favorites of the Bonairean locals, a great place to spend time relaxing in every sense of the word – get a tan, take a swim, and then have a cook out! Like so many other Bonaire beaches, the sea life is abundant and beautiful, and only a snorkel away from the shore. During certain times of the day there is a local favorite stopping by – the Kite City food truck, which serves delicious fresh fish dishes! Bonaire is a unique island in so many ways – one of which is the proliferation of wild donkeys that roam the local (as well as the wild) areas. Although this beach may be a bit of a misnomer, it’s a local favorite, a breathtaking spot for all things swimming and snorkeling. This locale is ideal for both new visitors and frequent beach goers alike, as the weekends become a lively local spot with music, family fun and an atmosphere of good vibes! 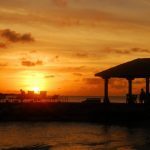 In addition to the popular beach spots on the main island, Klein Bonaire is a small, uninhabited island just 15 minutes away by water taxi via Caribe Watersport, located at the Eden Resort Beach area directly across from Klein Bonaire, itself. On Klein Bonaire’s uninhabited shores you’ll find yourself at “No Name Beach”, a stretch of unbelievably soft, white sand and it’s signature blue waters gently lapping the shore. Make sure to bring your own snorkel gear (rentals are available at the resort as well! ), because this beach is ideal for snorkelers of all skill levels as the shallows are easily navigable and the water is calm. Make sure to also bring along a bag of water and snacks, however, because Klein Bonaire is uninhabited in every sense of the word! There are no drinking fountains or vendors, so pack whatever you think you’ll need from the mainland. Luckily it’s only a fifteen minute boat ride each way and the taxis travel to and from every couple hours. On the beach, there is a small pavilion area where you can catch some shade while not in the water or sunbathing, but keep that sunblock handy! This particular area is one of our favorites, despite the lack of sandy sunbathing areas. 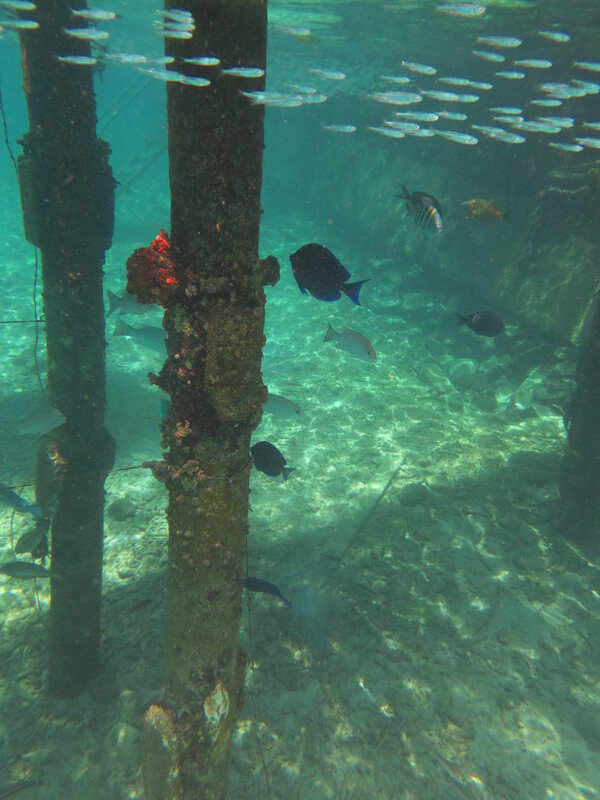 Buddy Dive has some of the most amazing snorkel and scuba areas we’ve seen on the island. There is a pool area and many beautiful places to relax. In addition to the beauty, you can rent a waterproof camera for the day, swim to your heart’s content, and then they’ll give you a disc of every picture you took! 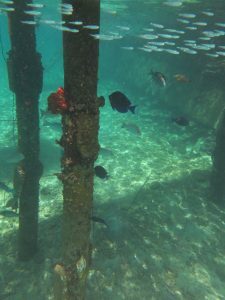 The variety of fish in this particular spot is breathtaking once you put that mask on and start out down the ladder into the crystal clear water. One addition to this spot is the restaurant, which offers amazing, fresh food, and you can sit overlooking the water. You may even have an iguana visitor or two looking for a fresh tomato or lettuce scrap. You’re encouraged not to feed them, but don’t worry – they’re very friendly! We snuck a few scraps to our reptile lunch companion a couple times! The beauty of Bonaire also lies in the fact that it’s simplicity only adds to the tranquility. There are just two main roads on the island, one North and one South, which makes for easy navigation if you choose to rent a car from the airport while you’re there, though it isn’t necessary considering the proximity of every eventual activity you’ll be interested in. Despite the lack of public transportation systems, taxis are very inexpensive and run by the always friendly and largely English-speaking locals. On our last visit we had the pleasure of taxiing around the island many times with Victor, a wonderful conversationalist and friend to everyone at our resort! If you’re looking for more wind in your hair during your daily escapes, make sure to take a chance to pedal around the island via bicycle, both standard and all-terrain are available, or explore at a faster pace on an electric bike. Check out Scooters Bonaire or Bonaire Eco Cycling to rent your two-wheeled transportation for the day. Bonaire encourages this eco-friendly mode of travel by providing free charging ports in Sorobon, Rincon, and the Wilhelmina square in Kralendijk. Beyond the sea life and snorkeling, the island has much to entice any traveler looking for leisure, including beautiful resorts like Eden and Buddy Dive, both within minutes of the late nights of downtown Kralendijk (a fun and festive city so far off the beaten path that spellcheck can’t yet discern it’s name!). 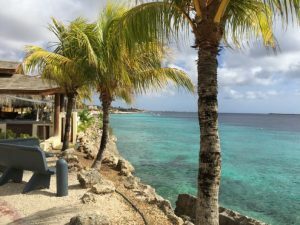 All of Bonaire’s tranquil resorts, as well as the bustling and friendly downtown, cater to relaxation, ambiance and beauty, as well as excitement. At any moment you can find yourself drinking a Pina Colada in the pure definition of paradise, worlds away from any worries, woes, or car payments! 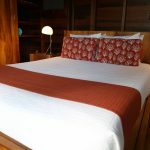 For nightlife, you won’t have to travel too far if you’re staying at one of the beautiful resorts just down the road from downtown. 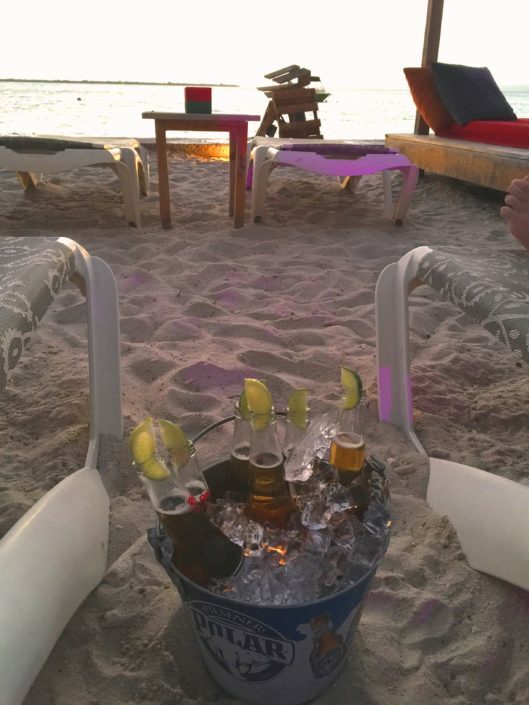 The most enjoyable weekend nightlife we’ve found is at Spice Beach Club, which is part of the waterfront Eden Resort. Offering delicious food as well as very reasonably priced cocktails, Spice lights up the Caribbean-facing cabanas every Friday night with live music, lights, and a genial party atmosphere that guarantees you’ll make at least 10 new friends after just a couple mojitos! For dance enthusiasts, there are many options to move to the beat of your choosing, including Little Havana, Karel’s Beach Bar, and the Plaza Resort Bonaire which hosts Latin night every Saturday evening. With just a quick registration, the Plaza Resort also offers a free salsa workshop from 6 to 7 pm, after which you can dance with the best of them! If dancing isn’t your thing, head on over to the casino at Divi Flamingo, where you can also test your skills at the tables and slots, open late every night except Sunday. While in Bonaire, also make sure to have a few (or a lot!) of their local favorite, Amstel’s Bright beer. A refreshing addition to the beach and sun, Bright is served everywhere and is reasonably priced! In addition to this signature brew, lift a glass of the island’s newly created and brewed “Bonaire Blond”, a light and spicy citrus brew made with locally grown ingredients! 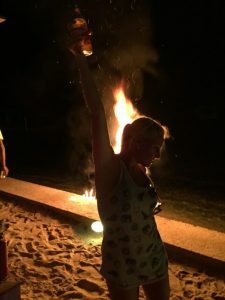 All in all, the nightlife in Bonaire is exciting, fun, and open till the wee hours of the night, maybe even long after you planned on turning in! A very unique aspect of this island is that, despite it’s minuscule size and uninhabitable wilderness, there lies one of the world’s only Flamingo Sanctuaries. The Pekelmeer Flamingo Sanctuary stands as a breeding ground for the beautiful pink bird, a key area due to the salt flats where they make their nests. The sanctuary is off-limits to visitors, but while in the area (especially near Pink Beach) you’d be hard pressed not to witness a flock flying overhead. Bonaire’s flamingos hold the special distinction of being some of the pinkest in the world due to their diet, which is rife with red carotene! Also, keep watch as they fly over, unlike their stunning upper feathers, their beauty is fully seen from beneath where the contrast of their ink-black wings can be appreciated as they fly overhead. There are so many things that can be said, described, photographed and remembered about this beautiful island. If you get the chance to see it, take it all in! From the warmth and friendliness of the people, to the fresh food, to the sheer beauty of the land and all the Caribbean sea has to offer, there may be no such unique experience to be had in this world. Untouched for decades, it will remain so, which is just one more endearing and heartwarming quality about this astounding and life changing destination. We enjoyed your article, A Couple For The Road. Very nice photos. 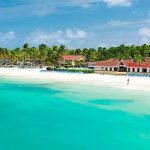 We’ll take a look see into a flight to Bonaire from Newark, NJ and the rates at Buddy Dive Resorts. Thanks for the info. Thanks, Michael! Glad you enjoyed the article!